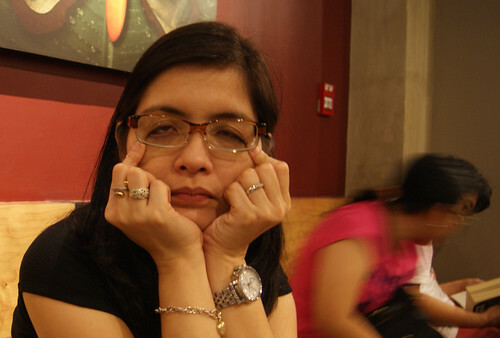 Being born to a family with poor eyesight, I have been using eyeglasses since I was in grade school. The first time I noticed my vision deteriorating was when I started squinting to see better what was being written on the board. I thought nothing of it which, of course, didn't help my case. When we had my eyes eventually checked, I was diagnosed as having a grade of 150 on both eyes and was ordered to wear eyeglasses to prevent the grade from progressing. At first I thought it was cool to wear glasses. However, as the days wore on and when I couldn't engage in activities like playing volleyball without worrying about my glasses falling off from my face or getting hit, I thought it was time to try using contact lenses. And so I did. Back then, they were not mainstream, thus, were very expensive. With the contact lenses, I could use shades to protect my eyes from glare, a convenience I didn't have with prescription eyeglasses. However, I was lax and was not very careful with my contact lenses. Sometimes I slept without taking them off. And because I slept with them, I'd lose them the moment I open my eyes in the morning. They'd be crisp and almost brittle and needed a lot of soaking. Too much of a hassle, so I decided that the contact lenses weren't for me. About two years ago, I was introduced to the transition lenses. The kind that turned dark when used outdoors. The brighter the sunshine, the darker they became. Now this was something I found very useful for my day-to-day use, especially when driving. Because the lenses can be fitted using different kinds of frames, I have a wide selection to choose from... from the big brand names like Prada, Gucci (not that I'd buy them!) to the more practical WarbyParker, name it. And because the sun is intense in this part of the world, not to mention that it is summer time now, I would have very good use for my transition lenses. That reminds me to check the mall if there's a sale going on. Maybe it's time for my third pair. Have you tried soft contact lens? yes bertN. i've tried soft contact lenses. i've worn them for a long time until i've somehow developed an allergic reaction. now i cannot wear them without my eyes turning red. Personally, I like GlassesShop.com best. Because this site offers you a great chance to get a pair of wonderful glasses ever, no matter what your preferences and tastes.